Midea Group, a leading home appliances manufacturer, revealed that its All Easy Series R-290 residential split systems air conditioner recently became the first-of-its-kind to obtain the Blue Angel Certification. The air conditioner was recognised for its ultra-low global warming potential (GWP), high energy efficiency, low noise, and stringent material safety control, which provides a mass-producible, efficient and reliable solution for the Kigali Amendment to the Montreal Protocol, said a statement. 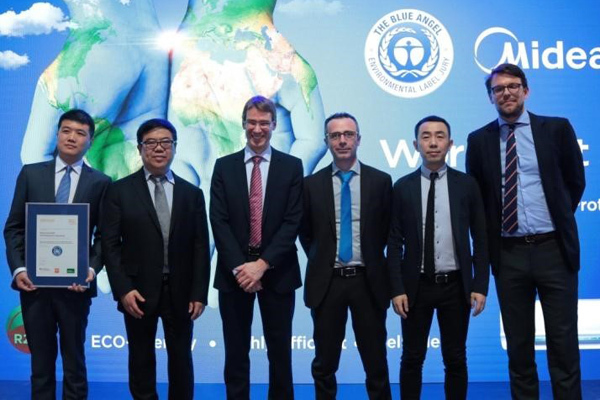 The Blue Angel Certification, owned by the German Federal Ministry for the Environment, Nature Conservation, Building and Nuclear Safety, represents the highest standards for energy efficiency, health and environment-friendliness of home appliances, it said. As air-polluting and climate-warming gases pose threat to the earth, the air conditioner industry is facing higher requirements especially after the Kigali Amendment to the Montreal Protocol was enacted. To develop Amendment-compliant air conditioner products has become the ultimate goal for every air conditioner enterprise, it added. The Midea team spent nine years to solve all technical problems and develop core components, including the R-290 compressor, the heat exchanger, and the electronic expansion valve and formed the unique flow routes, variable frequency electrical control and safety protection schemes. With multiple breakthroughs in energy efficiency, safety, noise reduction and material control, Midea R-290 product had obtained over 200 domestic and international patents before it was finally awarded the Blue Angel Certification. And as it has a much lower GWP, it's a major breakthrough in F-Gas regulation.